I love hearing stories about street food vendors who start off small and gain so much success, that they are able to open up their own restaurants! 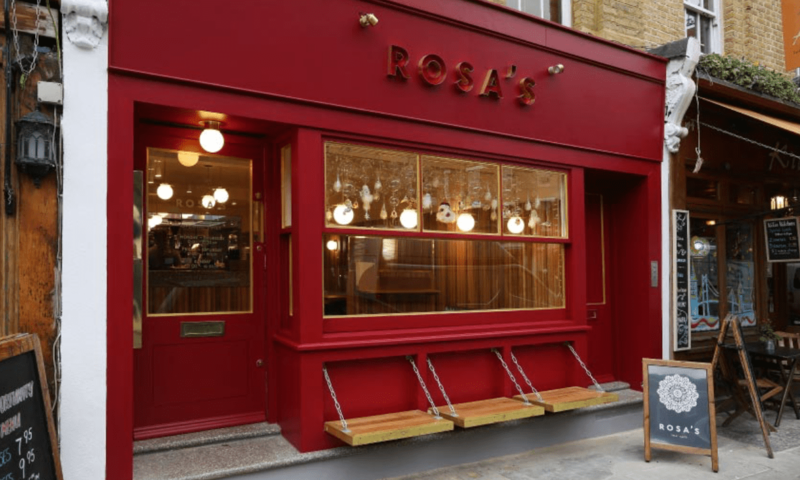 Take Rosa’s Thai Cafe for example – it started its journey as a food stall on Brick Lane, and today there are fifteen sites across London… pretty impressive! For a long time Rosa’s Thai Cafe only served halal chicken, but they now serve halal beef too. I decided to check out their branch in Angel. Despite what the name says, this dish does not contain any alcohol. 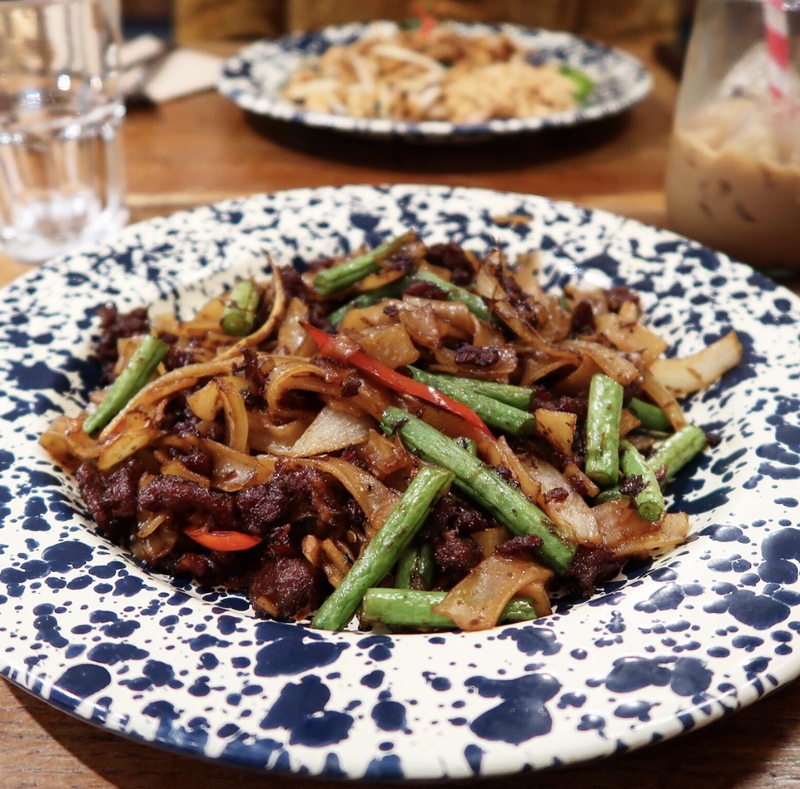 Drunken noodles is a popular Thai dish consisting of spicy stir-fried flat noodles. Rosa’s Thai Cafe cooks the noodles in a basil sauce with peppercorn & galangal. The dish was spicy, delicious and on the whole very enjoyable. My only criticism would be that I felt that the beef was a little lacking in taste. 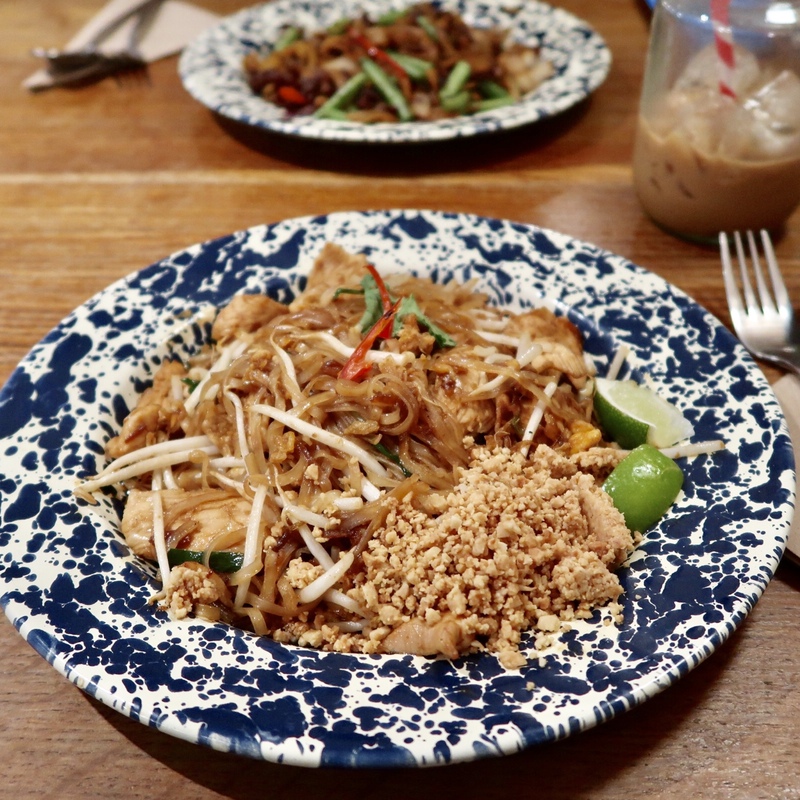 My friend opted for a classic pad thai which was zesty and packed with flavour. The prawns could have been seasoned better but the addition of crushed peanuts, tamarind sauce and lime juice made up for it and added more taste and texture. 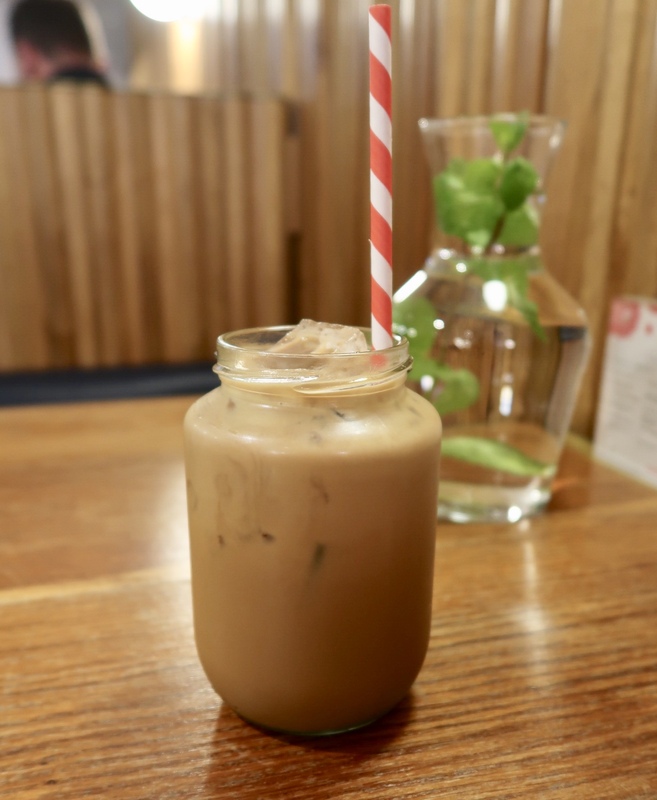 To wash everything down I opted for one of my favourite drinks – Thai iced coffee! It’s often made with condensed milk/ brown sugar to make it extra sweet (yum)! Overall the meal amounted to just over £10pp. I thought Rosa’s Thai Cafe was great! The food was simple, comforting and delicious enough for me to want to return to try out more dishes.